Among developments in space technology, next-generation spacesuits could be a pivotal advancement, helping astronauts move and operate more freely within space. Here, we investigate the research behind these suits and how they work. Space travel, as we know, is all about breaking barriers in exploration. 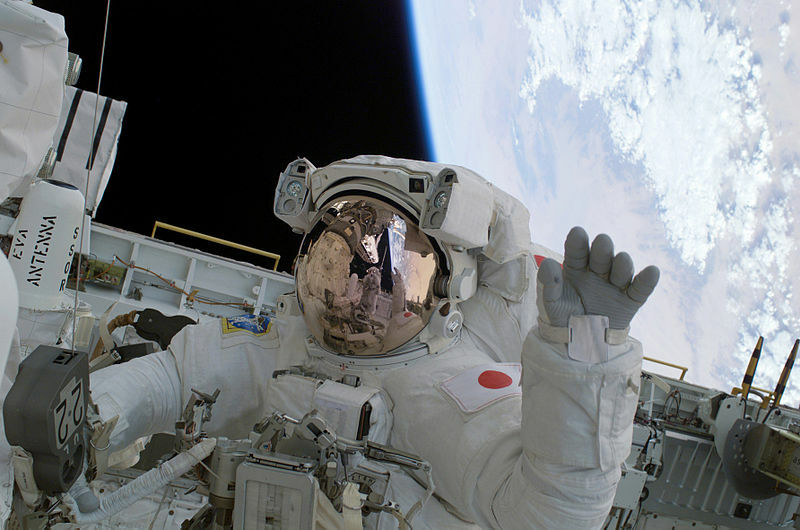 For astronauts to fully immerse themselves in their surroundings, mobility is key. Ensuring the safety of astronauts, however, often requires spacesuits that are quite bulky. Relying on pressurized gas, today’s spacesuits are inflated with oxygen, which allows astronauts to breathe and creates pressure around the body. This is imperative because, without substantial atmospheric pressure, body fluids can heat up and boil. Thus, the gas pressure that gives the suit its inflated look — think of a balloon — is relied upon to keep body fluids in the liquid state. The gas pressure used within a spacesuit gives it an “inflated” look. Image by NASA, via Wikimedia Commons. Researchers at MIT have taken a new spin on the design of spacesuits, drifting away from the need for gas pressure and toward the idea of applying pressure directly to the skin. What they came up with was a stretchy, lightweight spacesuit that could offer the same level of protection as older spacesuits with a substantially greater range of motion. In the design of the spacesuit, coils are connected to an elastic cuff, with each coil attached to a thread that is linked to the cuff. With leads attached to the opposite ends of the coils, a current is applied to the suit. This applied voltage generates heat, causing the coils to contract. As the coils contract, they tug at the threads and tighten the cuff. A noteworthy characteristic of shape-memory alloys is their ability to return to their initial form after cooling. These materials can spring back to their original state with little force, allowing astronauts to easily get in and out of the suit. Along with increased comfort, additional testing showed that the coils created a pressure that was the same as the pressure needed to support an astronaut in space. While space travel may not be in our future, that doesn’t mean our paths won’t cross with this technology. Researchers see potential for this shape-changing apparel in military uniforms, medicine, and sports organizations. Because the suit tightens under pressure, it can act as a tourniquet in the case of treating serious injuries, helping to stop bleeding.